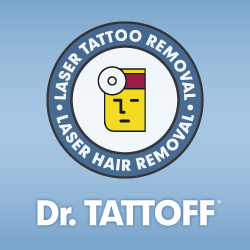 Leading chain of laser tattoo removal and laser hair removal, Dr. TATTOFF, Inc., will be offering free treatments on Election Day, Tuesday, November 6, 2012. "Our democracy gives us the opportunity for change. Until recently that wasn’t an option with tattoos or body hair, but Dr. TATTOFF has made it a reality." - Ian Kirby, CMO, Dr. TATTOFF, Inc.
Today Dr. TATTOFF, Inc. announced that it will be giving away free tattoo removal and laser hair removal treatments at its clinics on Election Day, Tuesday, November 6, 2012. In business since 2004, Dr. TATTOFF is the country’s first branded laser tattoo removal chain and has performed over 170,000 procedures at its clinics in Southern California, Dallas, and Houston, Texas. The newest Dr. TATTOFF location will open in Phoenix on November 13, 2012 at 740 S Mill Ave, Ste 130, Tempe, AZ 85281 (phone: 480-525-9238). Anyone who shows up at an open Dr. TATTOFF clinic on Tuesday, November 6, 2012 will receive a free treatment on a single tattoo or hair area of their choice, provided that the tattoo or hair area has not been previously treated at a Dr. TATTOFF clinic. Patients will be treated on a first come first served basis. As their San Fernando Valley and Phoenix locations are not open on Election Day, the promotion will be extended at the San Fernando Valley clinic to Thursday, November 8, 2012, and at the Phoenix clinic to its grand opening on Tuesday, November 13, 2012. Dr. TATTOFF currently has four Southern California locations and clinics in Houston and Dallas, Texas. The Company has received significant press coverage throughout the years including the front page of the Sunday NY Times, the front page of the LA Times, The Week, CNN, ABC World News Tonight, LA Ink, Real Housewives of Orange County, The Late Show with Craig Ferguson, Dr. 90210, Chelsea Lately, People Magazine, Life & Style Magazine, InTouch Weekly, OK! Magazine, Fox News, Maxim, Forbes, and dozens more.